I’m so proud of how your drawing has gone from just lots of scribble to you actually trying to draw things. 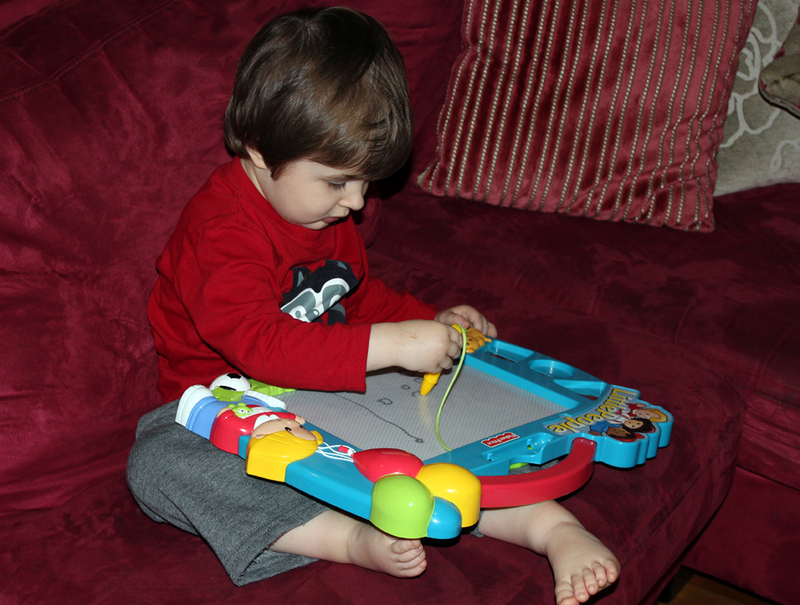 The other day you drew horizontal lines on your Magnadoodle and said “stairs”. Today you did a fantastic picture of a train and a track using your shapes. You also asked me to show you how to draw a spider, which you later copied and drew your own. He had a round body and long legs coming out from it. You like to draw things that you hear in songs, hence Incy Wincy Spider. I love watching you learn new things!